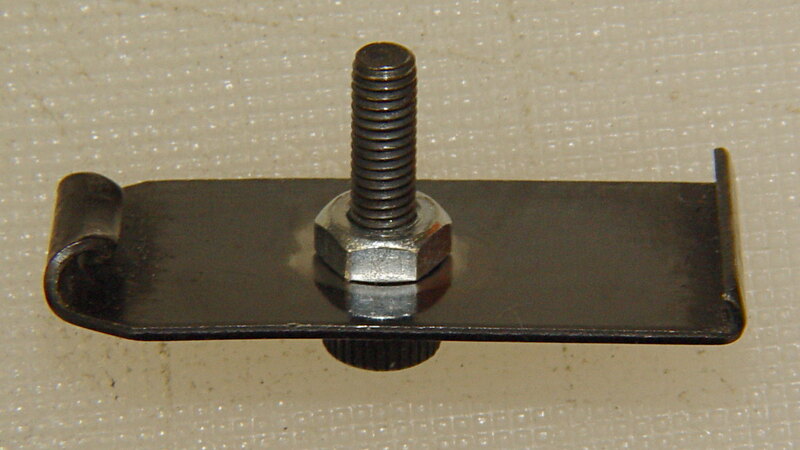 If you remove the interior plate, you must somehow hold the spring in place while sliding the exterior plate in place, after which the spring is free to thrash around inside the magazine under recoil forces. 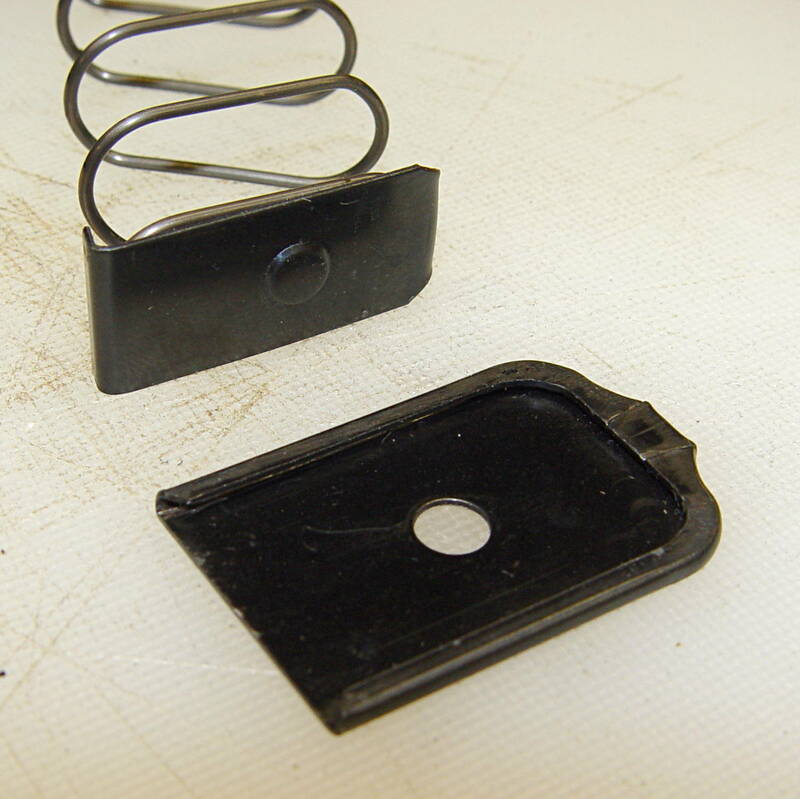 An important point: you can buy exterior floor plates from all the usual sources, but, as nearly as I can tell, nobody sells replacement interior floor plates and they’re not included in kits of replacement springs. If you don’t have an interior floor plate, you must fabricate one from scratch before you can use the magazine. OK, that’s not quite centered, but it’ll suffice. To be absolutely certain, you could file the entire socket head off flush with the boss, leaving no way to grip the screw. 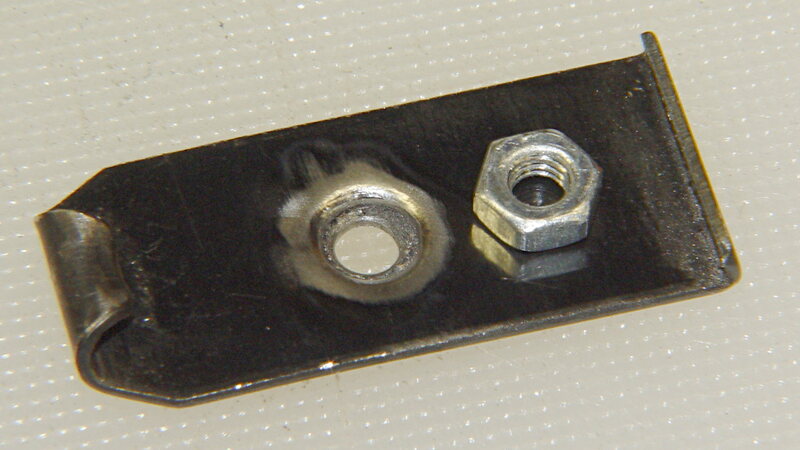 If the block surrounds the nut on the floor plate with a generous helping of steel-filled epoxy, then there’s no way to twist the block off the plate. 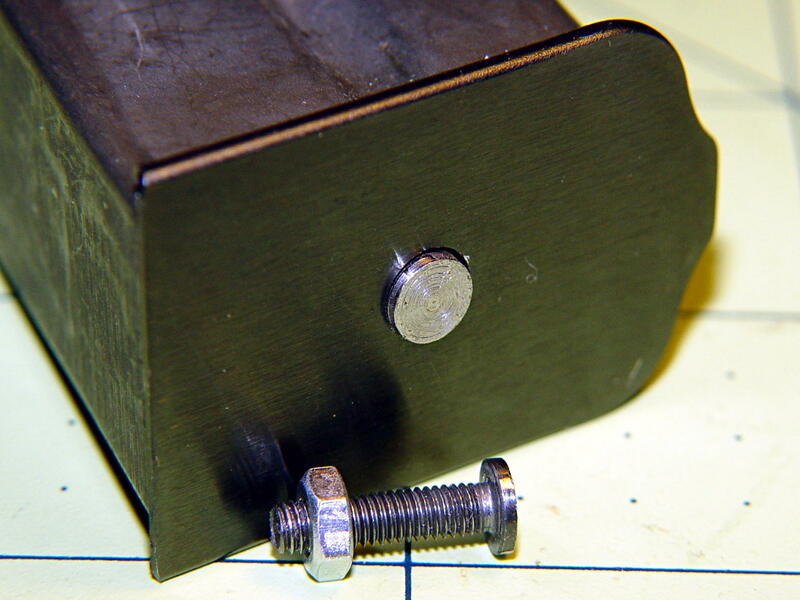 If the block also captures the spring, then you can’t heat the plate enough to un-braze the nut without also de-tempering and wrecking the spring.